NEW cool and colorful call screen themes! ALL FREE !ALL FREE! ALL FREE! 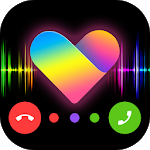 New Color Call-Call screen changer provides you call screen themes, LED flashlight alert for incoming call with caller id. Color Call Flash is simple, fast, and easy to use! 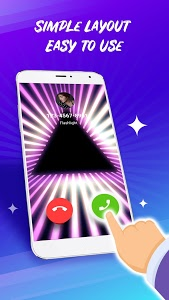 With one click, you will never miss a call with stunning call screen live wallpapers and full caller id! Free Call Screen Themes :Updated full HD stylish call screen themes for all screen size for free . 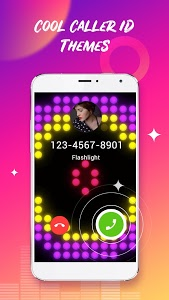 Dazzle Call Flash Alert: Phone call notification flash with LED light flash. Caller ID Assistant: Show you the true caller on phone screen with caller ID. Perfect Support :Perfectly support Android 7.1, Android 8.0, Samsung Galaxy S8, S8 edge, S7, S7 edge, HUAWEI P10, LG Nexus 5X Google Pixel 2 XL etc. Easy-To-Use: Simple layout, easy to apply. Low Consumption: Power saving and battery friendly. Why you need a Color Call Flash? -Remind you of phone calls when your phone in silence or night mode. -Customize your flash theme like a special ringtone go with the theme, get personalized and beautiful flash alerts on call. 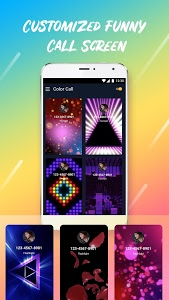 Color Call is a call screen changer with colorful caller screen flash themes, which reminds you of the calls. 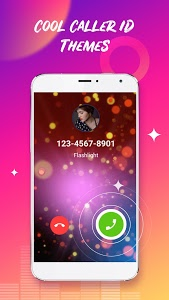 Caller screen flash customizes the caller screen display by changing caller screen themes; we provide you with updated live themes, like Neon Light, Green Weed, Purple Lightning and will keep launching new themes by users suggestion. LED flash alert will remind you when there is a incoming call accompanied by caller screen flash. 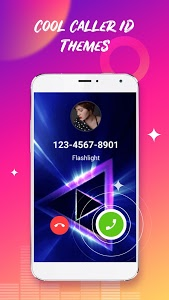 LED flash and caller screen themes are different, using the call theme app to change the call themes in a funny and dazzle way for android while LED flash alert, LED flash and LED flashlight alert make alert brighter. Color Call is also a Call Assistant in case you miss calls through call flash and call alert. It provides you with caller profile and caller ID on your calling screen. Most people trust this for their communication needs, turn on Color Call with call assistant, you will get all about true caller. Download and enjoy Color Call! Make your phone colorful now! To our beloved user，follow us on Facebook and check the latest features and themes. This will be a convenient and efficient way for us to communicate with you. Fixed the problem of failing to answer calls after enabling Call Flash. Fixed Call Flash misfunction on few devices. 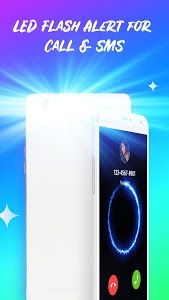 Similar to "Color Call -Call Screen, Color Phone, LED Flash"